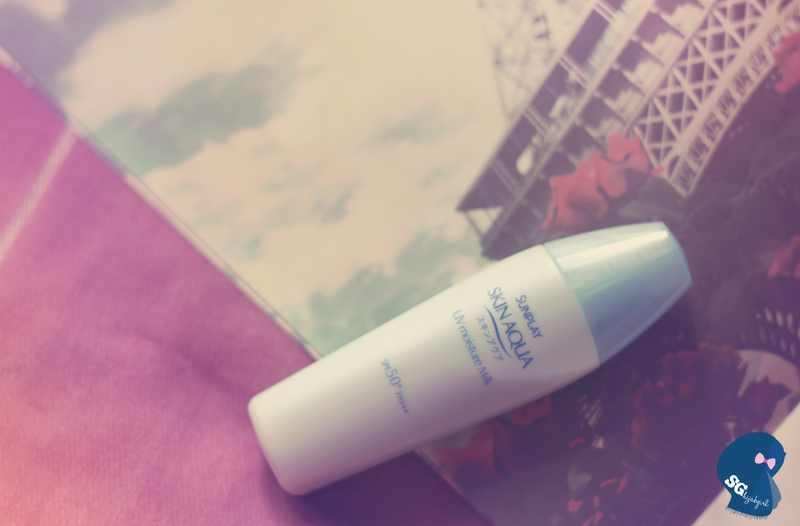 I recently received the new Sunplay SKIN aqua UV moisture milk SPF50! Just in time because I ran out of my Hada Labo UV Moist Emulsion which is my go to sunblock + moisturiser, so I was quite excited to test this new one out. As you know, Sunplay is one of the leading brands in producing sunblock for just about anything. They have a range of sunblocks with different SPFs and they come in lots of different forms, from spray cans to the normal tube. What is so special about this new formula they've come up with? 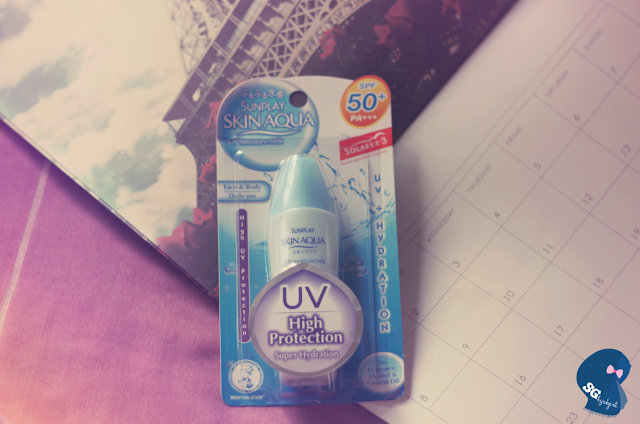 It has Solarex-3 which has 3 comprehensive levels of UV defense and they claim to protect our skin from surface to deep for long hours plus, not forgetting, hydrating our skin. So, with all the anti-aging and the hydrating ingredients, they promise to not only protect your skin but also to keep it refreshingly moist all day. I found the texture to be extremelyyyyyyy watery and I'm not sure if I like it. There's also the strong-smell of sunscreen which for some people, may not bother them, but I'm not really a fan of the chemical smell. 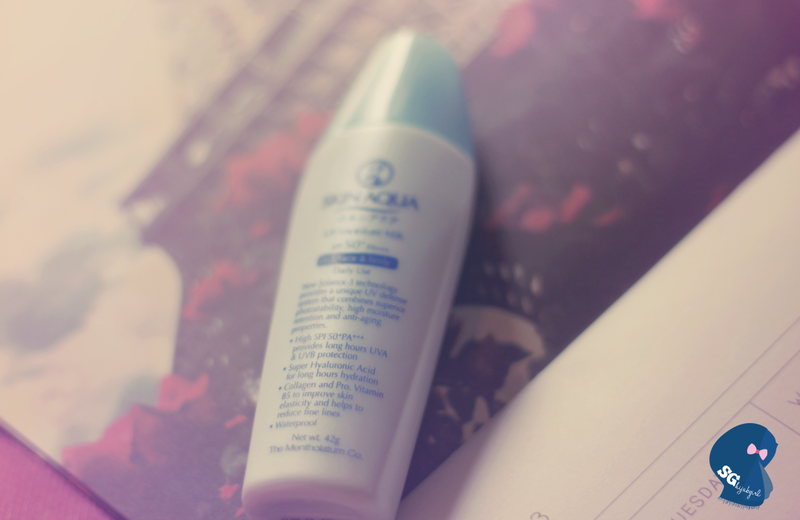 Other than this two things that I don't really like, it is quite a good sunblock+moisturiser. Due to the watery texture also, a small squirt can cover up quite a huge area of my skin. I also like the fact that it is not only for your face but you can use it for your body as well. I took a snapshot of the remaining Hada Labo UV Milk so you can compare the difference in texture. 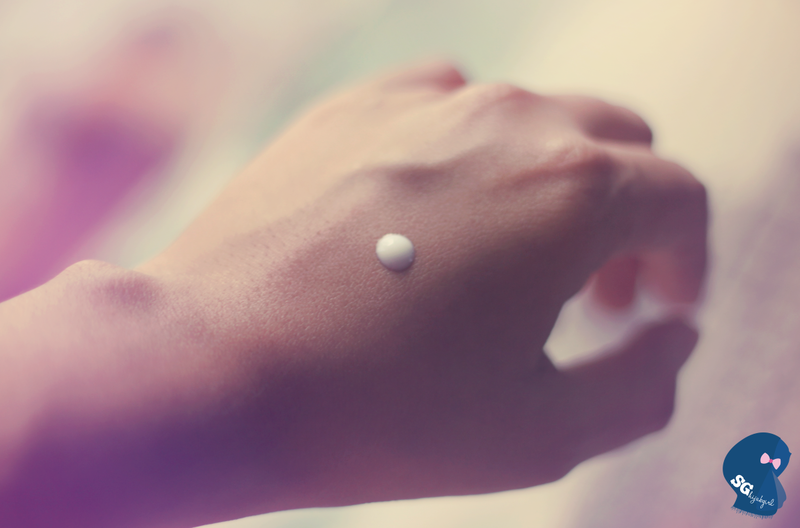 If you prefer a more watery liquid texture, you should opt for the Sunplay skin aqua UV Moisture Milk. I love the size of the bottle as well! Perfect to be brought out in my bag for reapplication! You can get this at Watsons, Guardian, Sasa, Unity and other major department stores!